The 9th Infantry Division participated in eight battle campaigns, earning them the “8 Stars”. As you can see in the above “Battle History” menu, I have created a menu tab for each campaign. The main pages will have general information about the battles. The information about the campaigns has been taken from official unit and Division history booklets. I will add more detailed “Battle pages” to each of these as sub menus. In these “Battle pages I will describe a certain event in more detail. In the texts I will also link to other pages on this website if possible. This will enable you to read more about a certain person, unit or event and provide better and more detailed information. Please know that I am always working on these pages, so I would kindly ask you to please keep checking back for updates. 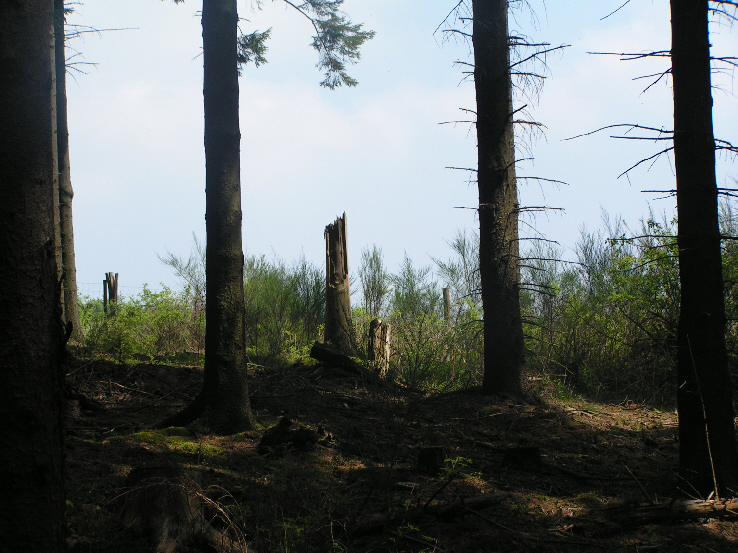 The Hurtgen Forest today. Scars of the heavy battles fought in this area are still visible.